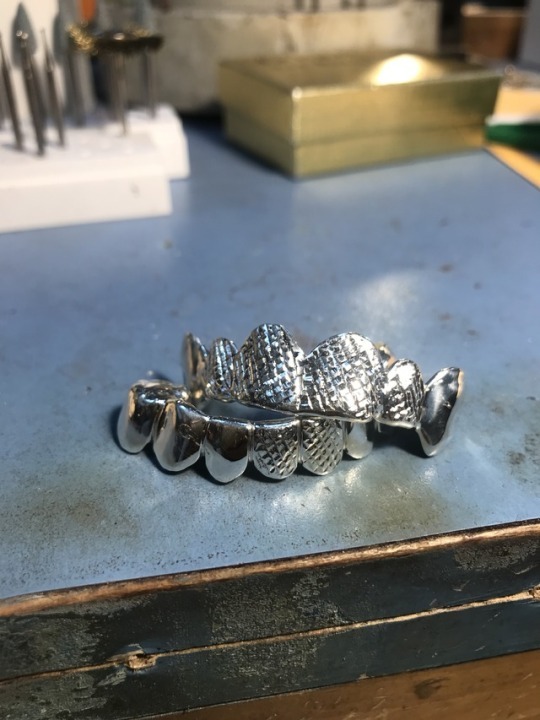 6/8 Silver Grill Set with Trillion Cuts and Diamond Dust. 6pc 10k Gold grill with diamond dust, and diamond bar across the front 4 teeth. Looking for the Best Deal on Grillz?